Robert Louis Stevenson wrote the novel Treasure Island, and published it originally as a serial in the children’s magazine Young Folks between 1881 and 1882, under the pseudonym Captain Charles North and then as a novel in 1883. It is among the most popular books from its time period, and has been instrumental in forming our modern notion of pirates. Stevenson was a bit of an adventurer. He had originally intended to join his family business as a lighthouse engineer, but dropped out of engineering school to attend law school. He never practiced. His desire to become a writer hit him early and hard. 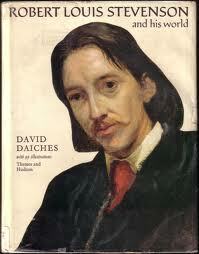 His original stories were non-fiction, based on his vacation travels around Europe. Stevenson’s literary output was primarily non-fiction travelogues or short-story adventures, until he drew a “treasure map” for his stepson, and created a story to accompany it. The story became Treasure Island. The story was the first of his writings to be labeled, “for children” and also the first book-length work. It was immediately popular and was the first major success for the man who would soon write Kidnapped, The Black Arrow and The Strange Case of Doctor Jekyll and Mister Hyde. Unlike most children’s books, or adult books from the time period, Treasure Island features a morally ambiguous main character in the form of Long John Silver. Silver was based on a friend, William Henley, "...a great, glowing, massive-shouldered fellow with a big red beard and a crutch; jovial, astoundingly clever, and with a laugh that rolled like music; he had an unimaginable fire and vitality; he swept one off one's feet". Henley was also missing a leg. It had been amputated due to infection, and Henley walked only with the aid of a crutch. In a letter to Henley after the publication of Treasure Island Stevenson wrote: "I will now make a confession. It was the sight of your maimed strength and masterfulness that begot Long John Silver...the idea of the maimed man, ruling and dreaded by the sound, was entirely taken from you." A kind, mentoring father-figure to the fatherless Jim Hawkins, Silver shocks everyone, readers and characters alike, when he kidnaps Jim and threatens him. 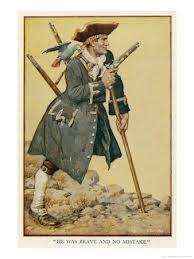 In the end I believe that the reason Treasure Island has endured is that Long John Silver escapes, treasure in hand. Stevenson created not only a timeless pirate character, but many of the current pirate tropes. Long John Silver has a missing leg, and is the first fictional pirate to own a parrot, his pet, named Captain Flint in mockery of his former captain. Stevenson created the piratical warning of the Black Spot and the pirate map with an X to mark the spot. 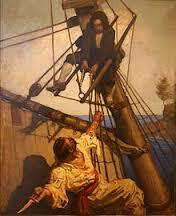 His story featured Ben Gunn, the marooned pirate, schooners, tropical islands, and rum as the preferred pirate drink. He also included references to real-life pirates: Edward England, Captain Kidd, Blackbeard, and Bartholomew Roberts. One of Treasure Island’s characters, the pirate Israel Hands, bears the same name as a member of Blackbeard’s crew, a man wounded by Blackbeard during a late-night card game in which Blackbeard commented, “I must shoot someone now and again, or folk will forget who I am.” William Scutamore, the surgeon that Long John Silver credits with removing his leg, was the name of a man who served as medical officer under Bartholomew Roberts, and was hanged for piracy in 1722. The novel is rooted in fact. The Admiral Benbow Inn, home to Jim Hawkins is named after the real Admiral John Benbow, 1653-1702. Edward Trelawney, Governor of Jamaica 1738-1752, may have been the inspiration for the novel’s Squire Trelawney. And Doctor Livesey with his admonitions against rum, may have been based on Joseph Livesey (1794–1884), a famous 19th-century temperance (anti-liquor) advocate. Most of the readers of the book did not catch the many references, even at the time. They enjoyed a story rich in exotic locations, colorful characters, and complex themes. Classified from the beginning as a coming of age story, Jim’s journey from a child to an adult is more difficult than usual. Jim Hawkins encounters the fearful Blind Pew (another disabled character who radiates power), and loses his home, as the Admiral Benbow Inn burns to the ground. He travels to the exotic Caribbean, and finds a surrogate father along the way, only to feel betrayed when Long John Silver leads a mutiny against the ship’s officers. Jim is forced to fight against Silver, using his wits to stay alive, and eventually must even kill one of the pirates to save his own life. 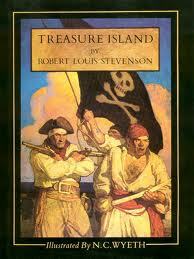 Pretty strong stuff to be labeled for children, but Treasure Island has been popular since its first publication among children and adults alike. Treasure Island is also unique in its vast, fascinating and detailed backstory. Before the action even starts, Long John Silver serves as quartermaster to the historic pirate Edward England, leaves him and joins Captain Flint’s crew aboard the Walrus. Flint terrorizes the Caribbean, gains his vast treasure, and buries it, killing six of his crew to keep his secret. His crew eventually breaks up, and Flint lives out his life (shortened by over consumption of rum) and gives the treasure map to Billy Bones. Only after this, when Bones is himself near death from alcoholism, does the story start. This rich backstory has inspired over twenty novels, purporting to give details of how Flint and Silver became partners, where the treasure came from, and what happened to the Walrus’s crew. The story has been made into over 100 movies, beginning with a silent version in 1918. 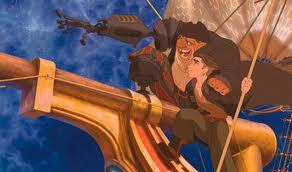 It has been updated into science fiction, and retold from the point of view of the marooned pirate, Ben Gunn. It is mentioned over and over, in works from Lord of the Flies to Batman. The Muppets have made a Treasure Island movie, and Long John Silver has been played by Wallace Beery, Orson Welles, Charlton Heston, Eddie Izzard, Lance Henriksen, Robert Newton, Anthony Quinn, Tim Curry, and Jack Palance. It has become manga, TV series, video games and a seafood restaurant. It has defined the pirate genre, and continues to define it. 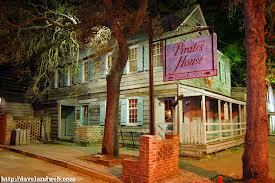 The Pirate’s House, a historic building in Savannah Georgia, is rumored to be haunted by the ghost of the fictional pirate, Captain Flint. YoBit enables you to claim FREE COINS from over 100 unique crypto-currencies, you complete a captcha one time and claim as much as coins you want from the available offers.